The GoTo telescope is basically a computerised telescope mount that can automatically point a telescope to star, plants and other objects in the night sky you choose to see. Both axes of a GoTo telescope mount are motor driven and are controlled by a computer, which may be either a microprocessor-based integrated controller or an external personal computer. Pre-aligned before use, when powered up the GoTo telescope will ask for the user's latitude, longitude, time, and date. It can also get this data from a GPS receiver connected to the telescope or built into the telescope mount itself, and the mount controller can have its own real time clock. The GoTo function enables you to easily find your way in space, with just a click of a button, making this type of scope especially good as a beginner telescope. 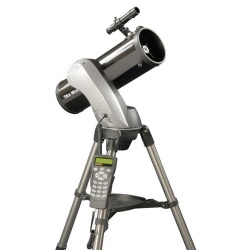 Popular models include the range of Celestron NexStar Computerised Telescopes. 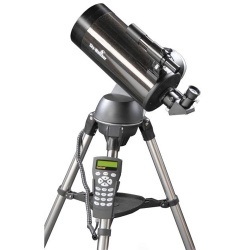 GoTo telescopes are a fantastic range of computerised telescopes which make locating the wonders of the night sky an easy task, leaving you time to enjoy the constellations and planets that fill our night sky. Easy-to-use controls mean that you won't struggle in the dark to operate these models. Here at PicStop we stock a range of computerised telescopes by the leading brands Celestron telescopes and Sky-Watcher telescopes. 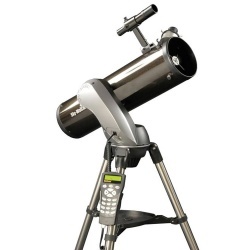 GoTo telescopes and their computerised mounts are ideal for both beginners who are looking for an introduction to astronomy and enthusiasts. 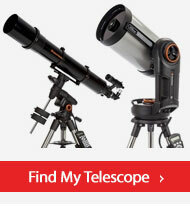 For those looking for some serious performance we have some fantastic models such as the Celestron Nex Star 8 SE and the Celestron SkyProdigy 130 computerised telescopes which allow you to explore deep into the universe and take quality digital photographs.